According to the Brazilian news magazine Exame, Google has made Brazil the center of its Latin American operations, placing former country director Alexandre Hohagen at the helm. 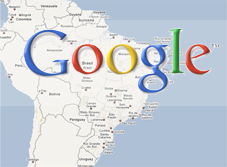 Google is understood to have chosen Brazil for its superior regional performance. While the Mountain View, California-based search giant doesn’t comment on regional numbers, the article claims that Brazil is Google’s fastest growing market (hard to verify, but it’s certainly one of the fastest growing), generating an estimated $500 million per year in revenues. This is all the more impressive considering the Brazilian office was opened just three years ago and has only 200 employees. The decision to run Latin American operations from Brazil comes soon after another decision to move all development and management of Orkut to that country, with most of the engineering in the city of Belo Horizonte. Orkut is Google’s social network, which enjoys most of its popularity in Brazil and India. Brazil is also said to have the second largest number of Gmail accounts, perhaps because of the popularity of Orkut. Google’s biggest white labeled Gmail customer may also be in Brazil: iG, a portal with over 9 million accounts. Google is still in the process of replacing Hohagen with a new country director for Brazil.